Arrival into Istanbul by flight. Need your Turkey visa, you can get it online here! The entire process from arriving in the airport to getting my visa and being officially in the country was about twenty minutes. Pretty smooth and easy! 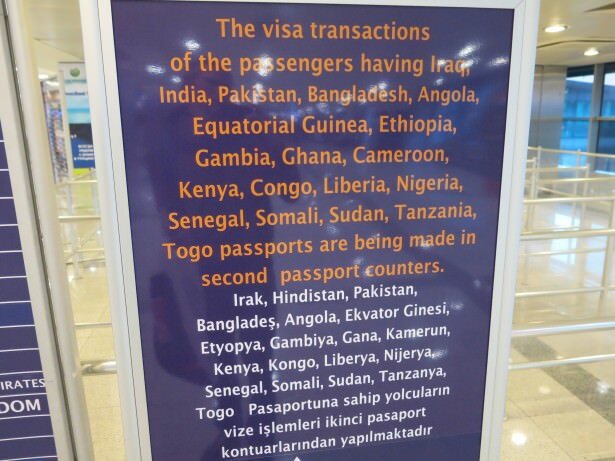 There’s a long list of nationalities that need a visa to visit Turkey. I first arrived into Turkey at Ataturk International Airport in Istanbul. 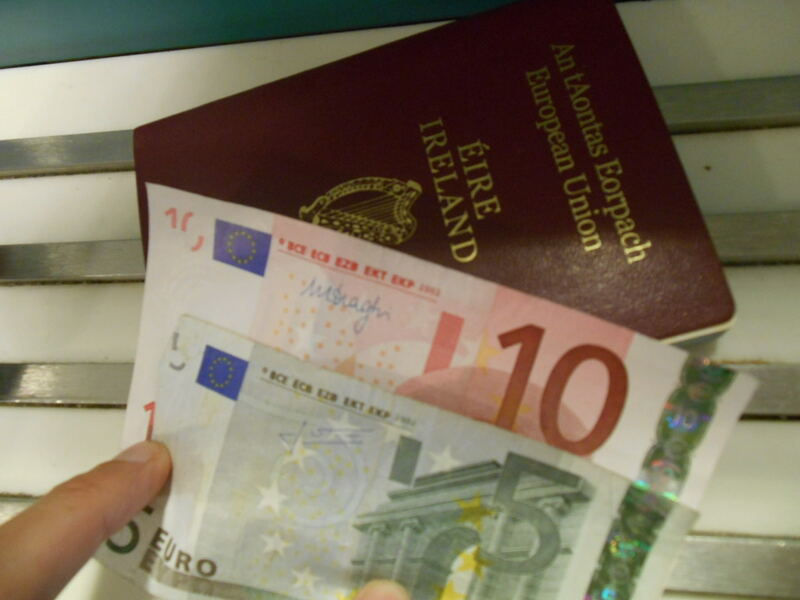 Visas can be purchased and received easily on arrival for most nationalities. 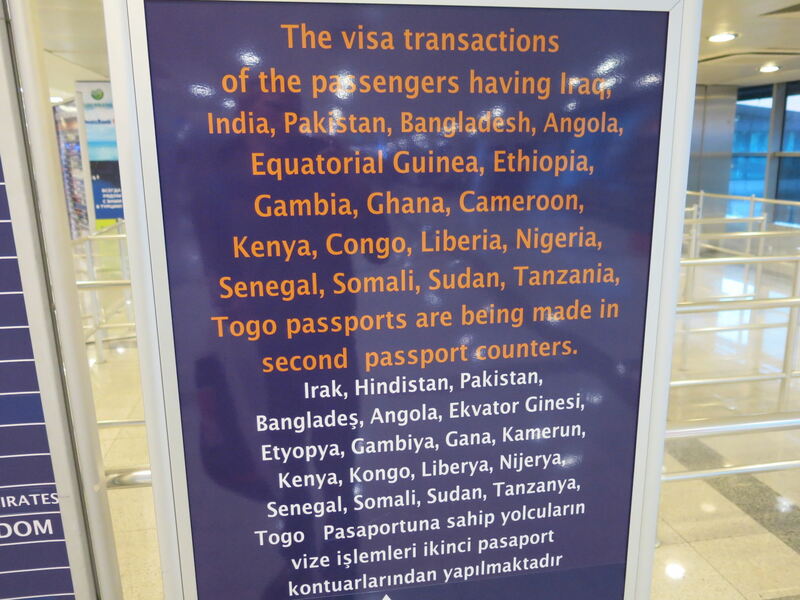 Here’s an overview of what is a very straight forward process, most of us won’t have any trouble whatsoever securing a Turkey Visa on arrival in “the Bul”. What Nationalities Need a Visa to visit Turkey? 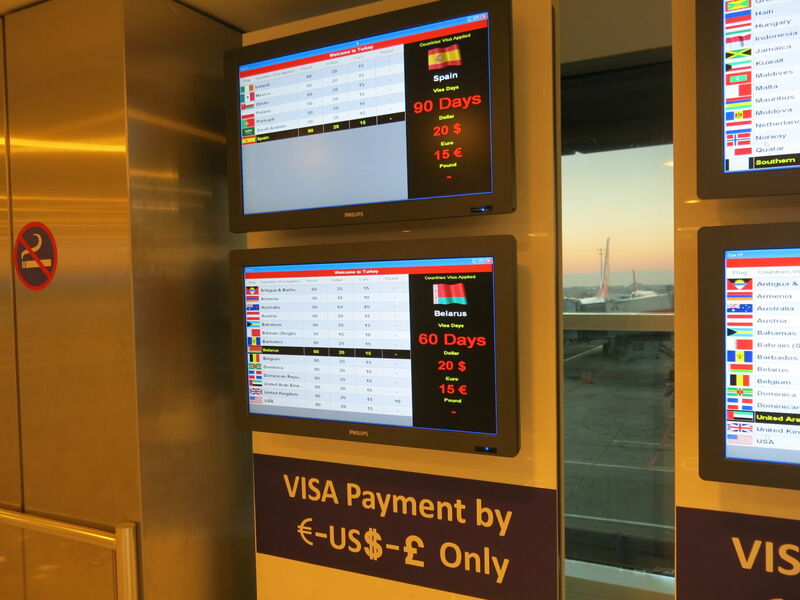 How Much Does a Turkish Visa Cost at Istanbul International Airport? It costs 15 Euros or 20 US Dollars. This is payable in cash only. If you don’t have this cash on you – there are a few money changers and ATMs but take the hint and come prepared – bring the cash with you ready to go. Visa and Mastercard ain’t an option. 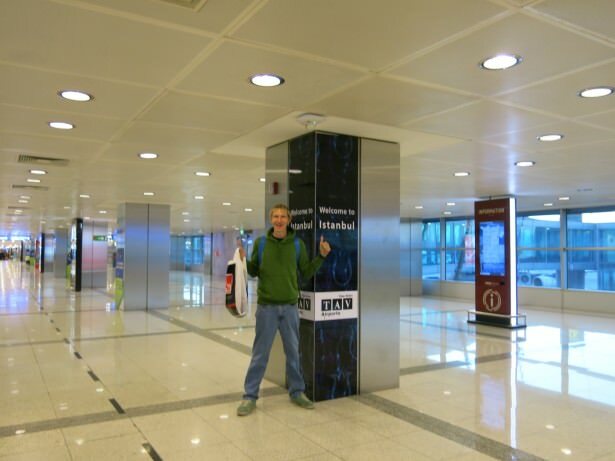 15 Euros and a passport is all you’ll need for a visa at Ataturk Airport, Istanbul, Turkey. 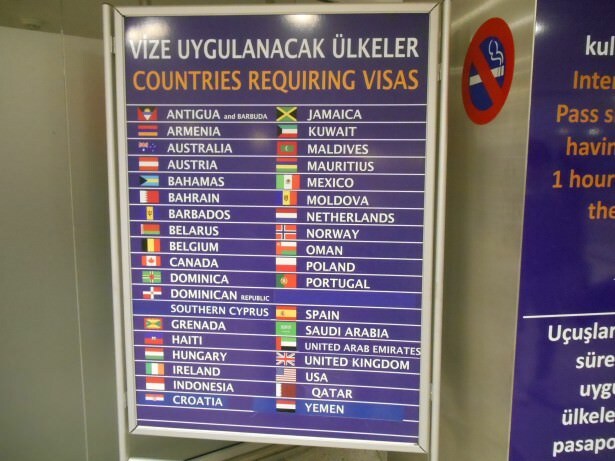 What do you need to get a Turkish Visa at Istanbul International Airport? You will need your passport, yourself and the payment. There are no forms to fill in and no visa application process. 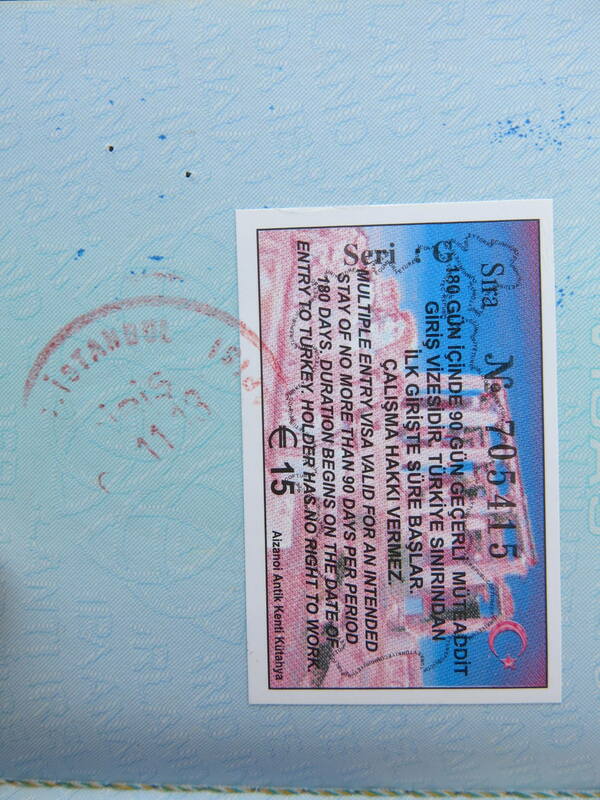 This is one of the easiest passport visas you will ever get! 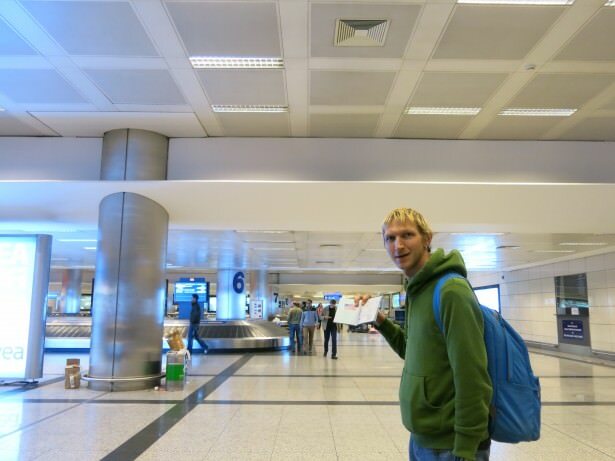 At Ataturk Airport in Istanbul with my Turkish Visa. What is the Process for getting a Turkish Visa on Arrival at Istanbul Airport? 1. Get off your flight. 2. Head to the Visa payment counter to pay for the visa and get a sticker on your passport. 3. Head to immigration where they check you have the sticker and have paid for your visa. They stamp you in. 4. Get your bag and enjoy Turkey! 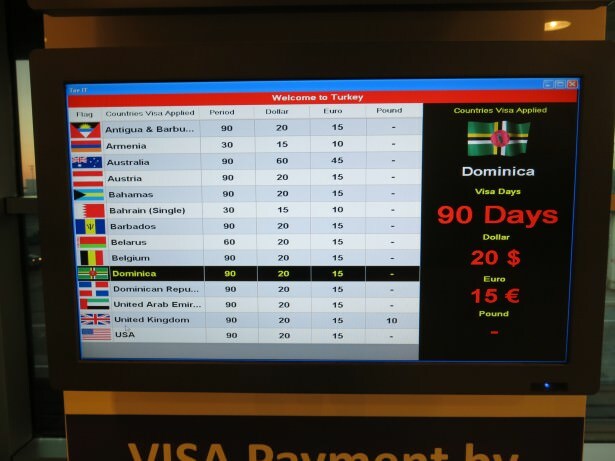 One of the TVs near the Visa Department at Istanbul Airport. More Visa information TVs at Istanbul Airport in Turkey. How Long is a Turkish Visa valid for? On arrival at the airport, you will be granted a 90 day entry visa to be used within 180 days. This means you could leave Turkey after one day and still have 89 days to use out of the next 179 days. In essence it’s a limited conditions multiple entry visa. 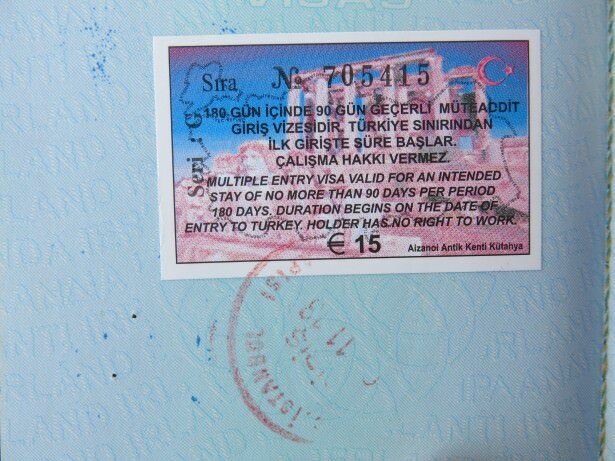 A Turkish Visa complete with entry stamp. Extra conditions for these countries. Iraq, India, Pakistan, Bangladesh, Angola, Gambia, Ghana, Cameroon, Kenya, Congo, Liberia, Nigeria, Senegal, Somaliland, Sudan, Tanzania, Togo. I spent a long time in Turkey and I loved it. Safe travels! 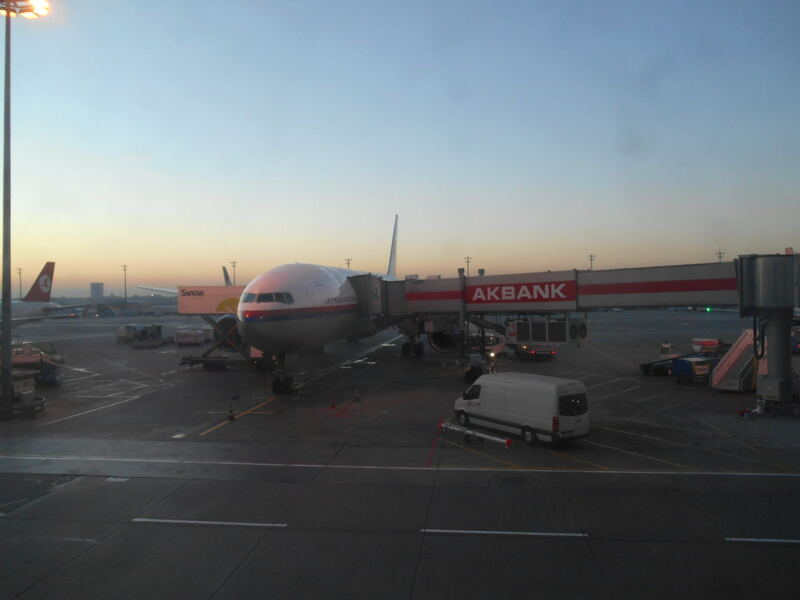 This entry was posted in Central Asia/Middle East, Destinations, Istanbul, Turkey, Visas. Bookmark the permalink. hi, i am Nelson Paulo. from Mozambique and want to travel to Turkey how can i get the visa upon arrival? I got a full uk passport but I can’t get evisa here for some reason how much will it on arrival do you know the price? i have pakistani passport comeing form america i have american visa can i get turkish visa on airport. hahaha. u can be a part time immigration officer answering all those questions. have a nice day dude. Hi Jonny, regards from Drogheda Co. Louth here. but emm! Was thinking, why don’t you look into becoming an Immigration Officer coupled with your travel Blogging? Just messing lol, How are you keeping? i have India passport require on arrival visa how to get it can anybody help.